Ottawa energy policy consultant, Robert Lyman, explains anti-oil pipeline blockades threaten democracy and that no global competitor countries will follow Prime Minister Trudeau’s climate change leadership because world energy demand is growing. According to the Canadian Chamber of Commerce, pipeline blockades cost Canada $50 million a day, and activists are now harassing banks and credit unions like Desjardins to pull out of pipeline financing. Say NO to Climate CO2 Coercion! In a video interview entitled “No Pipeline is a Problem – A Challenge to Democracy” posted on YouTube, July 18, 2017, by Friends of Science Society, Ottawa energy policy consultant, Robert Lyman, expressed his opinion that anti-oil pipeline activism challenges democracy when it is not part of a civil, balanced discussion of broader social needs. Canada’s economy suffers from landlocked resources, even as the newly sworn-in NDP Premier John Horgan of British Columbia previously vowed to block Kinder Morgan pipeline expansion, as reported May 2, 2017 by Global News. Lyman spent 27 years as a public servant in Ottawa and prior to that he was a diplomat for 10 years. In the interview, he explains that in terms of public policy, there are many competing objectives for society and the environment/climate change is just one. “To find ourselves in situation where we might sacrifice all for the sake of one is harmful to public policy. What is at stake is a challenge to democracy,” Lyman explains. He goes on to say that in a democracy there are competing objectives and thus open dialogue and respect for opposing points of view is essential. Various provincial leaders, activist groups and even mayors are vowing to block further pipeline development in Canada. As reported by Vivian Krause in the Financial Post of Oct. 3, 2016, many of these activists are funded by offshore interests. As reported by Business in Vancouver, Sept. 16, 2013, Canada is losing $50 million dollars a day due to landlocked resources. None-the-less, as recently reported by Reuters, June 8, 2017, numerous banks and the credit union group Desjardins have been targeted by “no pipeline” activists. Desjardins, a financier of KinderMorgan, is contemplating no future pipeline finance for projects like Energy East, Keystone XL and Line 3. Lyman says it appears that some provinces and parties are attempting to use the situation to set up interprovincial trade barriers and this will have a detrimental effect on regions and national unity. Friends of Science Society encourages civil, thoughtful public debate on economic ramifications of climate change policy. Friends of Science is celebrating 15 years of reviewing a broad spectrum of literature on climate change and have concluded the sun is the main driver of climate change, not carbon dioxide (CO2). The sun drives ocean oscillations on multi-decadal to millennium time scales that affect climate. 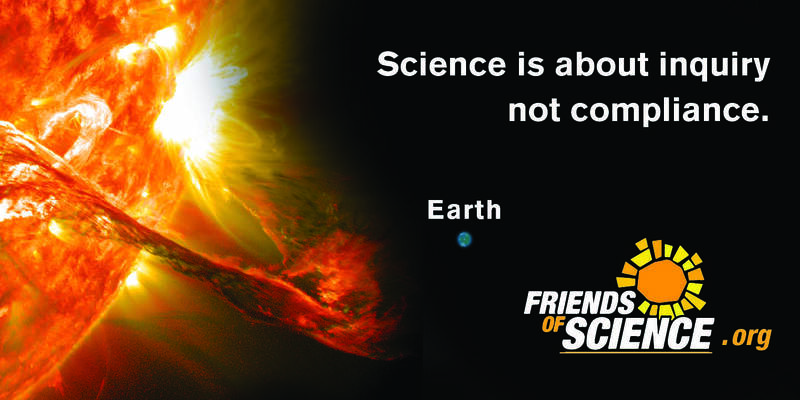 Friends of Science is made up of a growing group of earth, atmospheric and solar scientists, economists, engineers, and citizens.